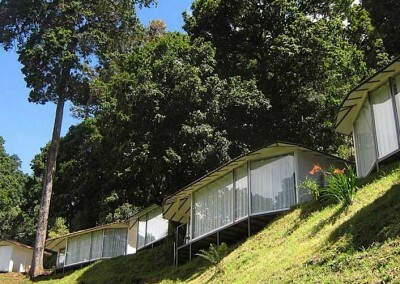 This unique area is quite different to the rest of Costa Rica – a more Alpine feel than tropical paradise. 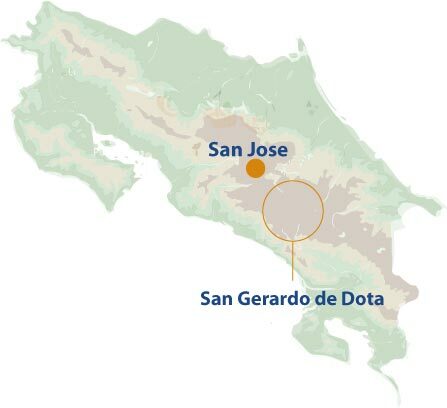 In the south-central region about 3 hours’ from San Jose is the beautiful little town of San Gerardo de Dota. It’s a little off the beaten track and not yet on everyone’s radar, unless you are a birder or a hiker. Originally an agricultural area set on the banks of the river, you could be forgiven for thinking you were somewhere else, this doesn’t look like typical Costa Rica. The town is at the foot of a valley with the Río Savegre running through it, and the Talamanca Mountain range at its back. It’s a wonderful place to spend a few days relaxing and exploring. The air is crisp and fresh here rather than hot and tropical and this is the place for spotting the quetzal, known to like higher altitudes. So revered is the quetzal here that there is a nearby national park named after it. 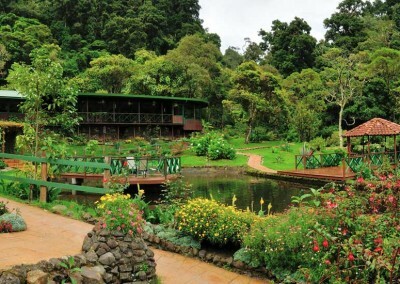 This high altitude park is a haven of rainforest and cloudforest on the slopes of the Talamanca mountains about 70 kms from San Gerardo De Dota. There are miles of hiking trails to explore. 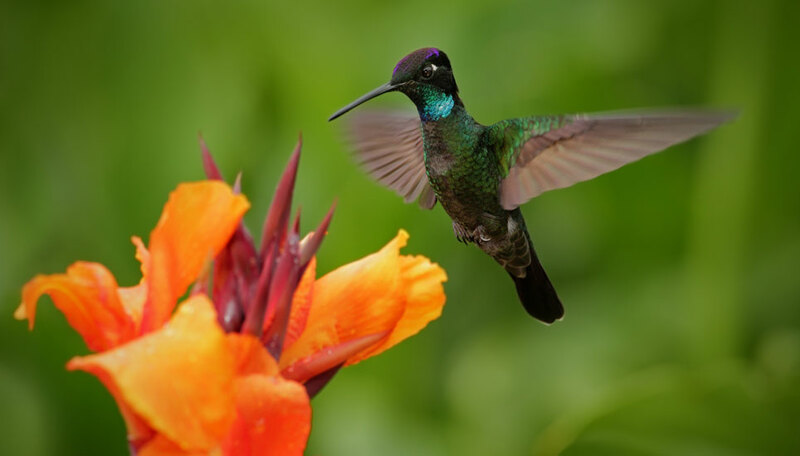 It’s not just about the quetzal, though it certainly is one of the main attractions, you will find many other species of beautiful birds here, the hummingbird being one. It is also home to some of the rarer mammals such as squirrel monkeys and Baird’s tapirs. 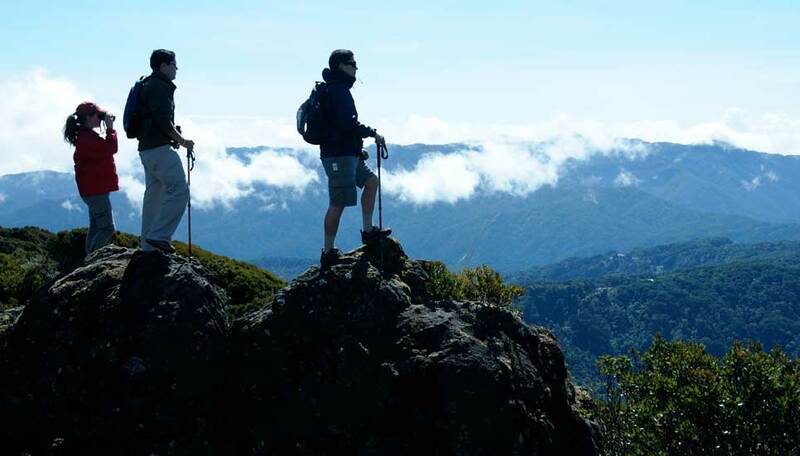 About 60 kms from San Gerardo de Dota, most people come here to climb Cerro Chirripó, the highest peak in Costa Rica. At over 3800m above sea level the views from the top are something else – if it’s a clear day you can see both the Pacific and Caribbean oceans! The scrubby brush rises out of the cloudforest the higher you get. The differing habitats are home to an amazing array of birdlife and also some less common repitles. If you are lucky you may spot pumas or a Baird’s tapir. Monkeys are present here too, the capuchin is often seen, along with spider monkeys, although these are more rare. 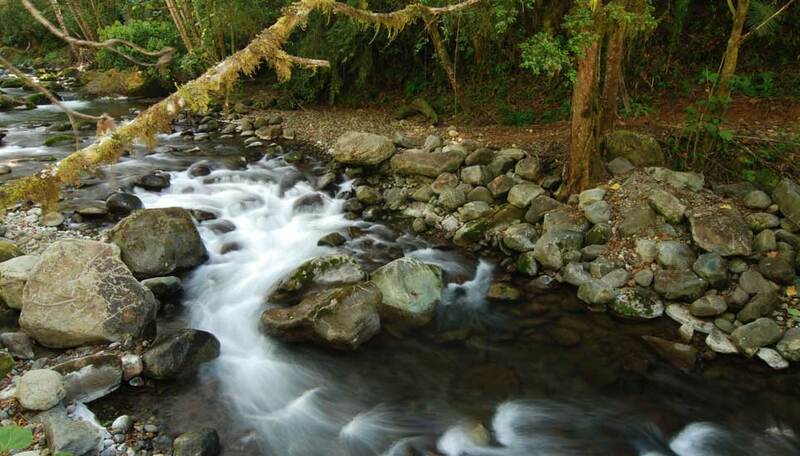 Trout fishing – Try your hand at fishing in the Río Savegre. Depending on your style December to March is good for lure-fishing and May and June are best for fly-fishing. 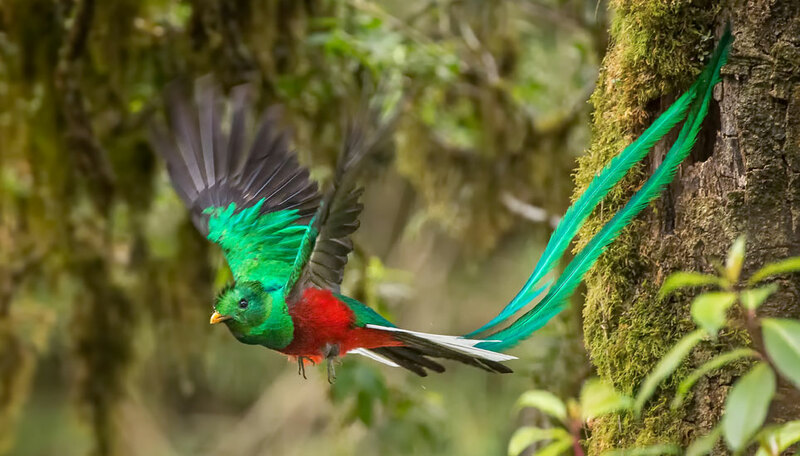 Quetzal spotting – Day trips into the forest, particularly in the national park, will increase your chances of seeing this beautiful but elusive bird. Breeding season is the best time (April and May), they do inhabit this area year round though. 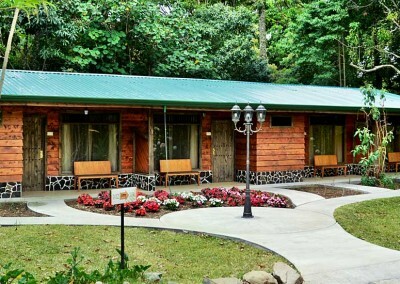 Coffee – Take a coffee tour, and finish off with a tasting of one of Costa Rica’s finest exports. Cerro Chirripó – Summit Costa Rica’s highest peak to watch the sunrise, just remember to wrap up warm – it gets surprisingly cold here, but the sweeping views will be well worth the long hike to the top. Diverse habitats – This area has more different habitats than many countries have in their entirety, explore the myriad of trails at your own pace. If summiting Cerro Chirripó is your aim, we would definitely suggest the dry season, don’t make it harder than it needs to be. Quetzals are more easily spotted in April and May.